Scotland has charmed visitors for centuries, and this collection of intricate illustrations is a celebration of its unique appeal. 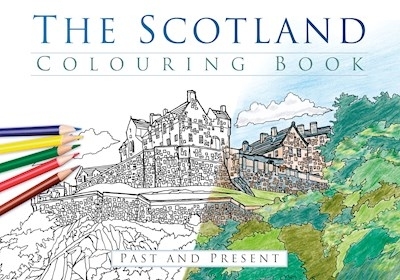 Featuring a range of picturesque vistas, from freshwater lochs and wooded glens to majestic mountains, granite cities and medieval castles, each stunning scene is full of intriguing detail sure to fire the imagination and make you reach for yourcolouring pencils. There are absolutely no rules - you can choose any combination of colours you like to bring these wonderful images to life.